Remotely control computers as well as transfer files to and from remote computers. 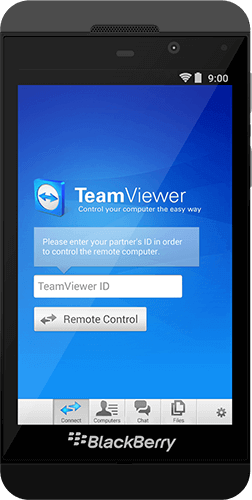 The TeamViewer: Remote Control app for BlackBerry requires TeamViewer 10 to establish a connection. For commercial use, please observe these licensing notes.